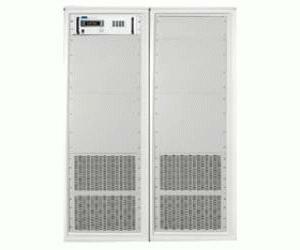 As a member of the ePOWER line of programmable dc power supplies, the HPS Series of high power switching power supplies offers a wide range of cabinet mounted models from 20kW to 150kW+. Voltage ranges are available from 10V to 2500V and current ratings up to 7500A as standard. Systems are avilable in 22 inch and 48 inch wide cabinet enclosures. However, should your power supply requirements differ from the standard product offering, ask about the AMREL customization options designed to fit your unique application needs up to 900 kW+. As with the entire ePOWER line of programmable dc switching power supplies, the exceptional features and benefits of the HPS series make it outstanding electronic test equipment for a multitude of dc power supply applications. The HPS series offers one of the most extensive product offerings of any dc switching power supply line on the market. With over 100 different models in countless voltage and current combinations, the HPS series has a unit to fit almost any dc power supply application. Standard wattage ranges are: 20kW, 30kW, 40kW, 50kW, 60kW, 100kW, and 150kW. Should you require lower power ranges, please review the ePower SPS series of rackmount switch mode power supplies with a power range from 1.2kW- 30kW+.